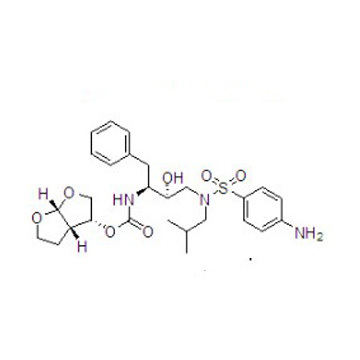 Darunavir (brand name Prezista, formerly known as TMC114) is a protease inhibitor drug used to treat HIV infection. Prezista is an OARAC recommended treatment option for treatment-naïve and treatment-experienced adults and adolescents. Developed by pharmaceutical company Tibotec, darunavir is named after Arun K. Ghosh, the chemistry professor who discovered the molecule at the University of Illinois at Chicago. It was approved by the Food and Drug Administration (FDA) on June 23, 2006.